It’s September, which means it is National Preparedness Month. This is the time of the year when we should all start thinking about how severe weather will impact our homes, our cars, our families, and our neighborhoods. Severe weather is, by nature, unavoidable. But you can prepare your home and your family by taking a few steps to gain some serious knowledge about weather in your area. Here, we’ll discuss severe weather from start to finish: where it comes from, how to track it, and how to prepare for it. Hail forms from the rise and fall of rain in a warm-weather system, freezing and re-freezing the rain until it is solid ice. We ironically see this in severe thunderstorms, based on the volume and location of hot air in the system. Floods occur during sudden or sustained rainfalls. “Flash” floods typically happen during fast, heavy downpours that flood sewer systems and roads that can’t handle the sudden volume of water, while sustained floods are usually a saturation of ground water sources and sewers as it makes its way through a floodplain. Both are dangerous for different reasons. Blizzards and freezing rain occur when warm and cold air meet in primarily cold areas (cold enough to freeze rainwater). These are much like heavy downpours in the summer, and it is even possible to have “thunder blizzards” with the right conditions. Hurricanes form over the Atlantic, near the coast of Africa, and build strength and rotation as they draw heat energy from the ocean. By the time they hit the coastal United States, they may have traveled for days of hundreds or thousands of miles of ocean. So, the “cause” of severe weather in the United States is going to depend on the area you live in. Residents in Oklahoma or Missouri are going to look out more for flash flooding, tornados, and sudden thunderstorms. People in Florida, Georgia, and South Carolina might worry less about tornadoes, but worry more about sustained flooding and hurricanes from the Atlantic Ocean. The National Weather Service. This is a government-funded group of meteorologists and scientists who track weather patterns all over the country. This service typically following incoming weather from the oceans and Canada and follow adverse effects as they pop up. This organization is also responsible for issuing warnings for severe weather of all types. Your local news and weather service. Local networks will typically break regular programming to pick up on severe weather. They also have a more local and immediate access to events as they unfold, so they can provide more fine-tuned information for you in the case of emergency. Also, most news stations employee a meteorologist who maintains contact with the National Weather Service. In either of these cases you should be getting your news from places where they can measure the weather, typically through Doppler Radar and other technologies. Also, the National Weather Service and local stations typically work close together, and your local weather coverage is likely getting emergency updates from the National Weather Service ahead of time to help make forecasts. Always have bottled water AND a water filter on hand so that you don’t need to worry about a clean water supply. Prepare for power outages with batteries, flashlights, candles and matches, and a radio. There are several models of flashlights and radios that now operate on a crank to generate power, which eliminates reliance on batteries to some extent. Sign up for any local emergency notification services. Many cities and townships (and organizations, like universities) offer severe weather notification alerts that go out over email and text while also providing updates on the web. Create a weather preparedness plan that outlines where to go and what to do in case of emergency. Have insurance for storm or flood damage, especially if you live in an area prone to either. 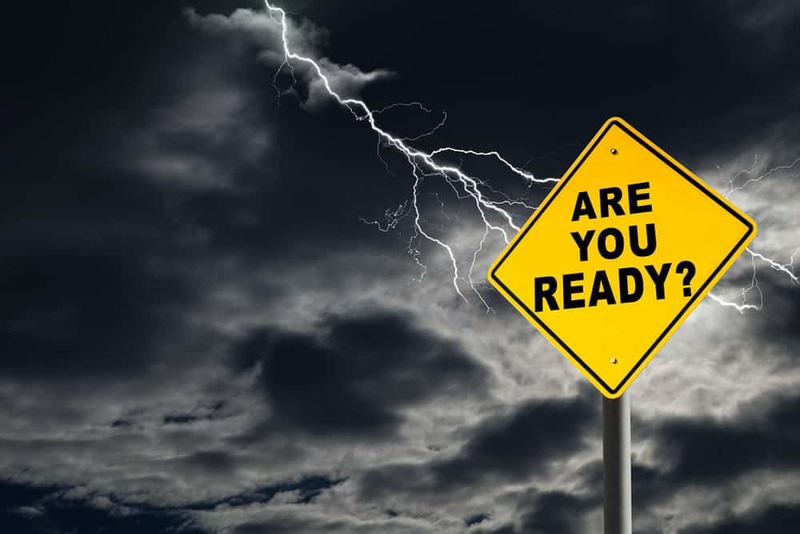 There are also several ways to prepare for location and emergency-specific severe weather instances. If you live in an area with regular flooding and heavy rains, then you should weather-proof your crawl space and have regular checkups on your home’s foundations. Park your car in a higher area, and do not park it under old trees or trees with shallow root structures. Know where your local shelter areas, emergency relief stations, and/or evacuation routes are and map them. Have a supply store in case evacuation is needed. This includes clothing, food, water, and anything required for any existing medical conditions. Also include a first-aid kit and, if possible, some cash to buy supplies if you have to travel. Have your roof inspected and repaired regularly, to prevent water and storm damage to your home. Make sure you know the quickest way to your basement. If you don’t have a basement, then use a storm cellar or a small interior room on the lowest level of your house. Keep batteries, a flashlight, and a battery-powered radio in your basement so that you can track weather updates in case the power goes out. Pay attention for warning sirens if you are under tornado watch or warning. 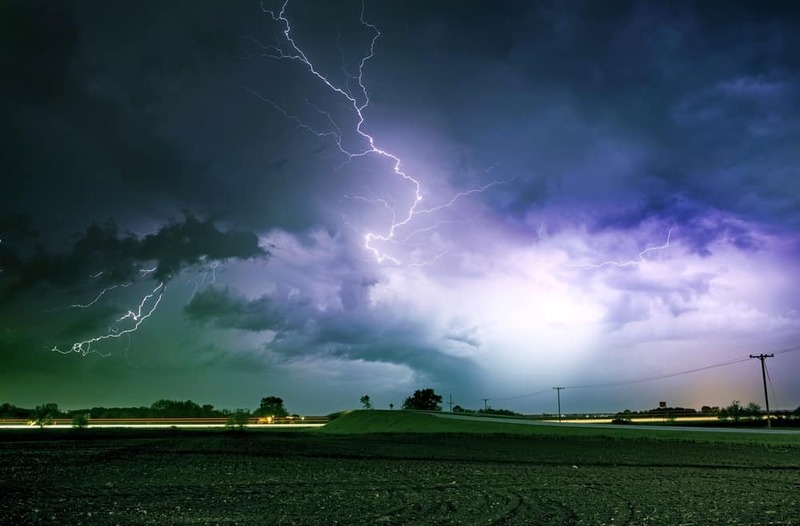 Storms can quickly become violent in a matter of minutes. Understand the signs of a tornado. This includes rotating clouds or a loud, roaring sound, like a train. With any luck, you won’t have to worry about this kind of storm damage. But as anyone in Columbia or Lexington, SC knows, severe and damaging weather can strike quickly and catch you off-guard. The first step is to get your family prepared. The next step is to get your home prepared. Make sure you have the right insurance coverage, and make sure that you have proper contractors or repair companies on hand that you trust. These relationships can help keep the necessary aspects of your home in good condition prior to any emergency, and they can help you make any repairs due to damage. If unfortunate damage due to storms and severe weather does happen, know that you can be prepared.